Are Your SMART Goals Making You Feel Dumb? If you listened to this post before you will notice I had the wrong audio on the other version of this post. I bet you thought you were losing it. What did Brooke Shields have to do with SMART Goals. I don’t know what I did with the audio, but I believe I have the correct audio here. Please accept my apologies. Albert Einstein was smart. But you are too. Most of us are smart, but we don’t have the fortitude to stay with our problems until we solve them. The same is true for our goals in most cases. Most of use have heard of SMART Goals and follow this methodology as the script when we create and write our goals. Do you set SMART Goals only to feel dumb when you don’t achieve them? Don’t feel dumb, it’s not that you aren’t SMART, it’s that SMART Goals don’t go far enough. What are SMART Goals? The methodology of SMART Goals was developed for setting business or management goals. There are several interpretations for each of the letters, but the two most ambiguous are A and R. If A = Achievable and R = Realistic, isn’t that saying the same thing? If my goal is achievable, it must be realistic, right? If it isn’t realistic, it most likely wouldn’t be achievable. If we are thinking in a business or management mindset, a goal should be assignable. In other words, someone must be able to be assigned to complete it. There must, therefore, be certain tasks that someone must complete for the goal to be achieved. I think it would be smarter to make the A = Actionable, thereby making someone Accountable for completing the action. So maybe Accountable should be the A. Well, Realistic shouldn’t be used for R if Achievable is the A. But if A is Actionable, Assignable or even Accountable, then R should be Realistic. Why? Your goals should be Achievable, wait, I mean Realistic. Well since they both are the same thing they should be either or both; Realistically Achievable. So, are you feeling dumb already. Don’t! Even if you understand what SMART should stand for, it still isn’t enough and you probably still feel dumb. You set SMART Goals. You followed SMART to the T. Your goals were set correctly by the SMART standards. But, you still aren’t achieving your goals. You can’t seem to get the goals your set. Why not? If my goals are SMART, then I must be dumb. You are not dumb. You just don’t know. What you don’t know are there are really 9 Steps to Successful Goal Achievement. The 9 Steps include elements of SMART Goals but they also contain the essences of SMARTER goals, too. The 9 Steps to Successful Goal Achievement will make your goal setting successful. I wrote my eBook, 9 Steps to Successful Goal Achievement and you can find it on Amazon here. What are the 9 Steps that will make you feel smart and successful? If you want to learn how you can put these 9 steps into effect in your life with the Goal Achievement Success System, check out my Coaching Packages here. I am committed to helping you get the goals you set. If you set New Years Resolutions or Goals at the beginning of the year, Well, the year is almost half over. Where do you stand today? Have you achieved your goals? Are you feeling DUMB instead of SMART? Don’t. Let me help you. Contact me today to sign up for coaching. Even the best need coaches. Professional Golfers have coaches. Athletes hire coaches. Executives hire coaches. I have a coach. Contact me at Tony at Goal Getting Podcast dot com and let’s get your goals this year. Don’t just feel smart, feel successful. 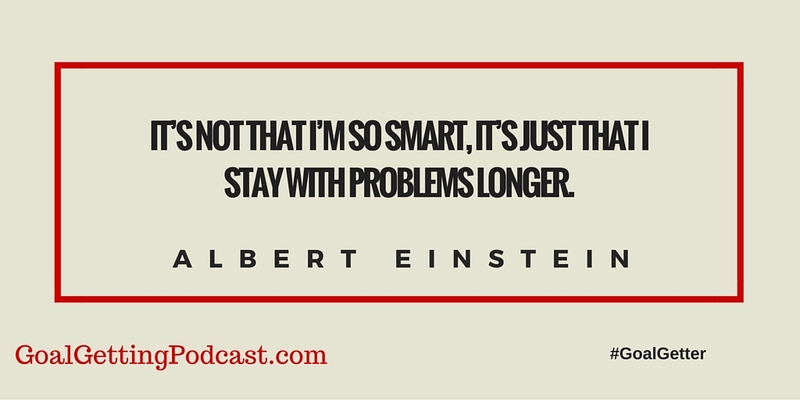 S2-E44 – Are your SMART Goals making you feel dumb? S2-E43 – RIP Muhammad Ali – Impossible is not a fact. It’s an opinion.